Sahara Stares At Bleak Future After RBI Cancels Its Para-Banking License. 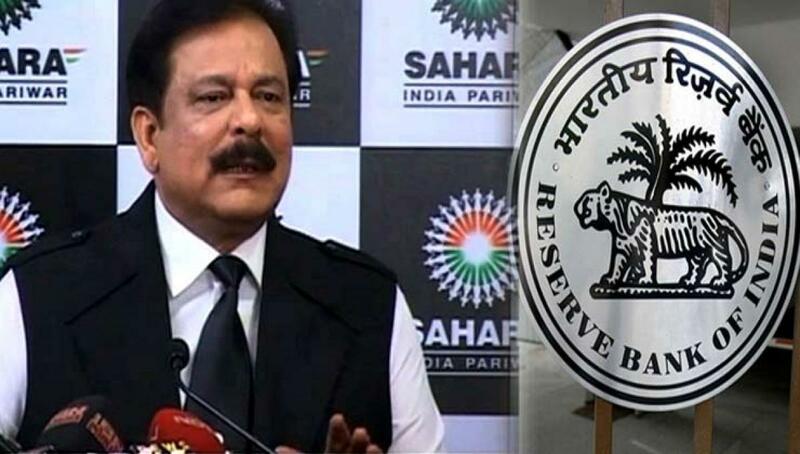 The cancellation of Sahara India\'s para-banking license by the Reserve Bank of India . Lucknow: The cancellation of Sahara India's para-banking license by the Reserve Bank of India (RBI) has sent the multi-million rupee conglomerate here into a tailspin. While the company has been in hot water for some time now, the development is being seen by both insiders and observers outside as a "major blow" to the company, whose chairman Subrata Roy 'Sahara' has been languishing in Tihar jail for more than a year now. While top sources in the company say this was coming for long and that they were "as such not very shocked at the development", they concede in private that the top management, which was "hoping against hope" to stay afloat, has been jolted by the decision of department of non-banking supervision to cancel the license of its holding company - Sahara India Financial Corporation Limited (SIFCL). The company has been charged with not complying with earlier advisories and warnings of not overlooking the rules and regulations of financial transactions in the non-banking sector. "There are several irregularities which were pointed out from time to time but it looks like no one was listening at Sahara," said a top-ranking official. The notice cancelling its license to conduct financial business was sent to the Kapurthala headquarters of Sahara India earlier this week. The move is being seen as the 'final nail' in the fortunes of the once-prospering company as SIFCL was its core wing from which money was collected through small time subscribers and then routed to other wings such as media, real estate and others. Under the new order, Sahara India would be barred from any sort of financial transactions. The RBI had in 2008 barred the company from taking any deposits from the people under its chit fund operations. Many depositors had since then complained to the RBI that they were not being paid back their money by Sahara, following which the RBI orderd a probe. A report of the investigations was sent to the RBI HQ in Mumbai last month after which the penal action of cancelling the license of SIFCL was taken. The cancellation could also leave in lurch thousands of small depositors who have put in the money with SIFCL for many years. The RBI has, however, said that anybody's whose payments are being denied by Sahara can make a written complaint to its Kanpur office.